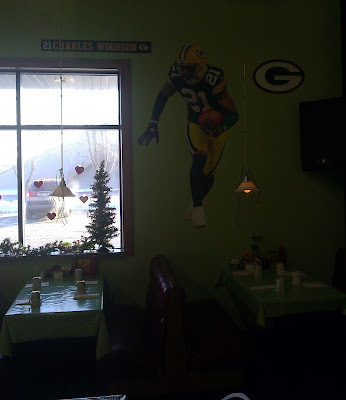 This is Mom's Cafe in the little town of Colfax in north western Wisconsin. Colfax has a little more than a thousand people. 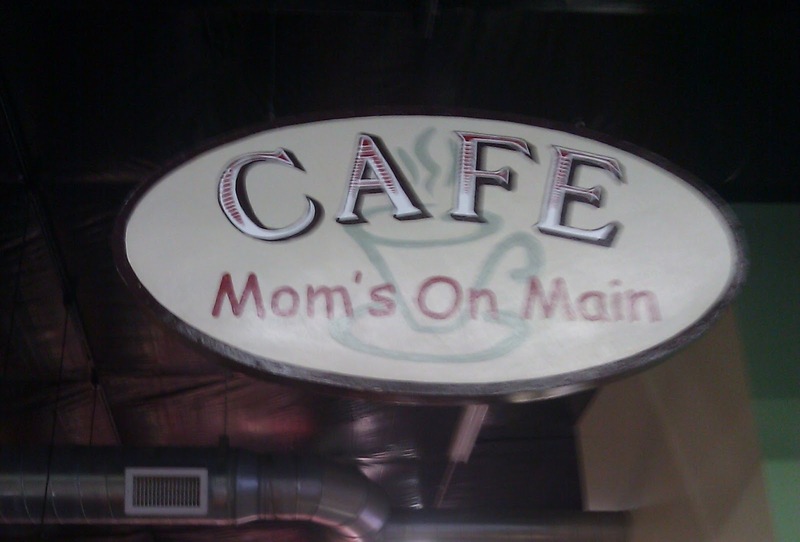 I was back home for a quick visit about a month ago and before starting back on the log drive to Kansas we stopped for breakfast at Mom's. 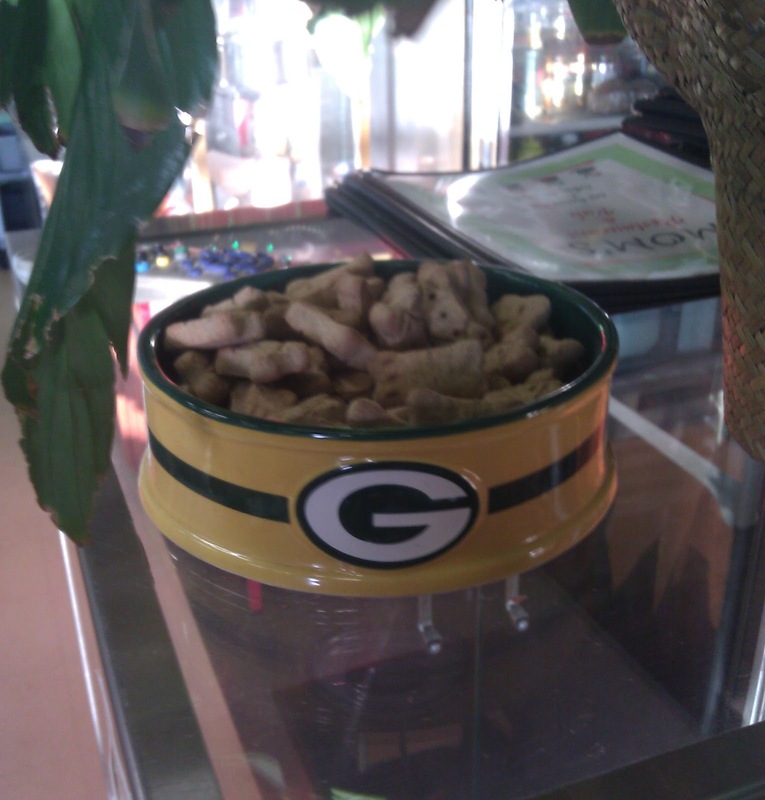 If there is one thing I can say about Mom, she's a Packer fan. 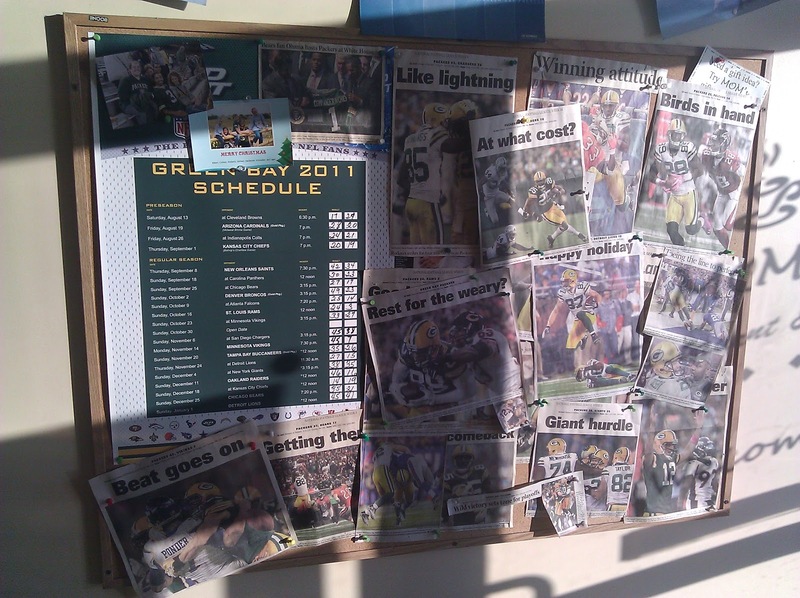 You enter by going past a clipping board which has all the recent headlines from the major local paper the Eau Claire Leader-Telegram. I wrote for their sports section when I was in college with my best article being a hard hitting expose on a local runner who did pretty well in the Boston Marathon. 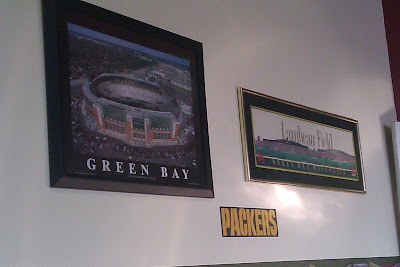 Everywhere you turn at Mom's it's Packers everywhere. We have plaques on one wall devoted to Lambeau Field. A signed autographed jersey of some guy who used to play for the Packers back in the 90's I think. 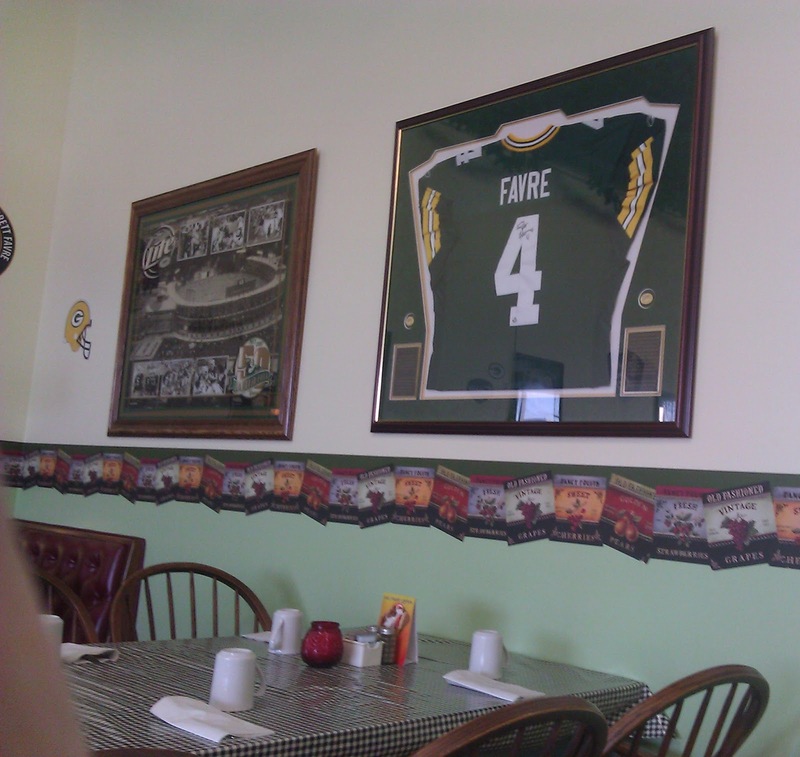 The name escapes me currently. Followed by Aaron Rodgers and Greg Jennings. 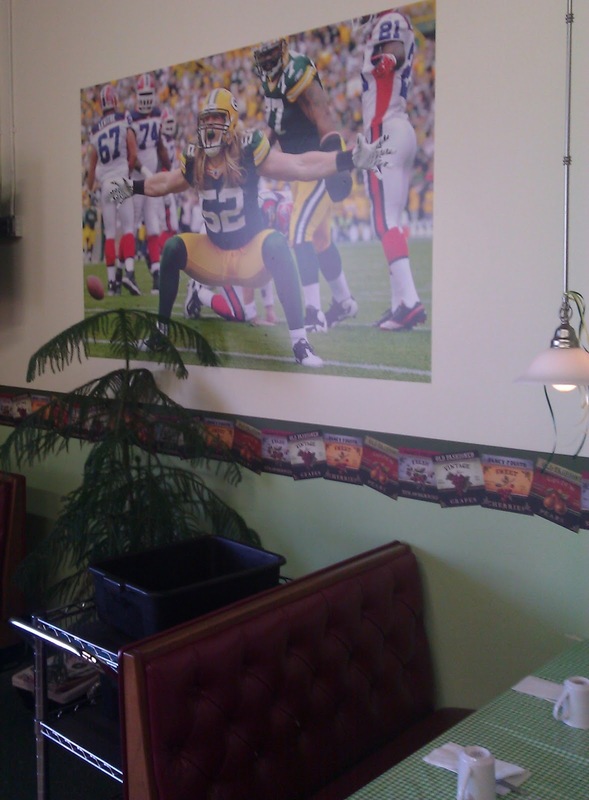 Did you hear that 12/12/2012 is going to be Aaron Rodgers day in Wisconsin? I kid you not! Even the dogs need to be Packer fans to get inside! 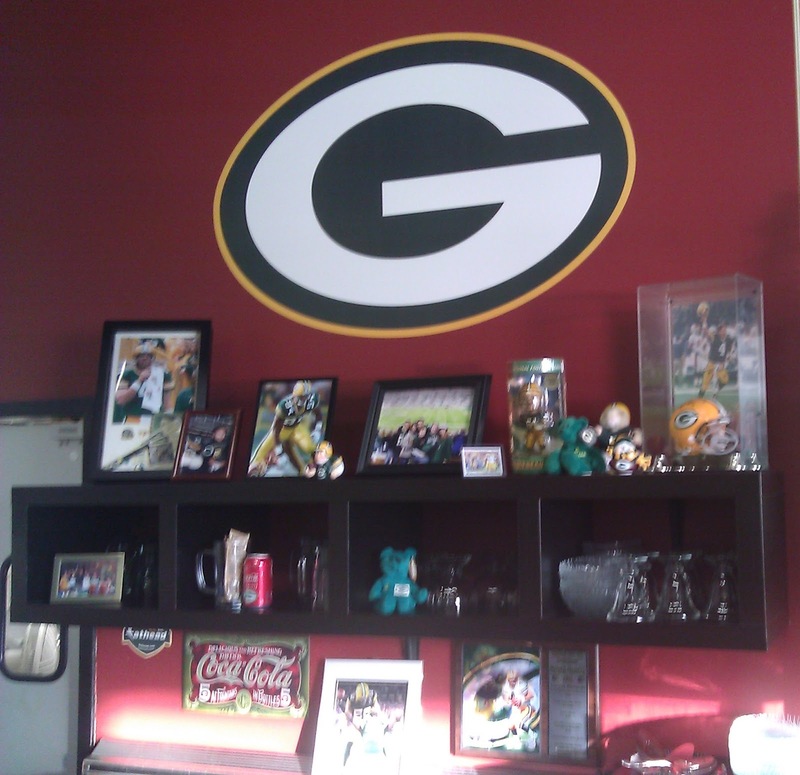 Next we have a little shelf of Packer nick nacks...autographed photos, Packer Beanie Babies, and if you look really close you'll find something a Packer card collector would be interested in. 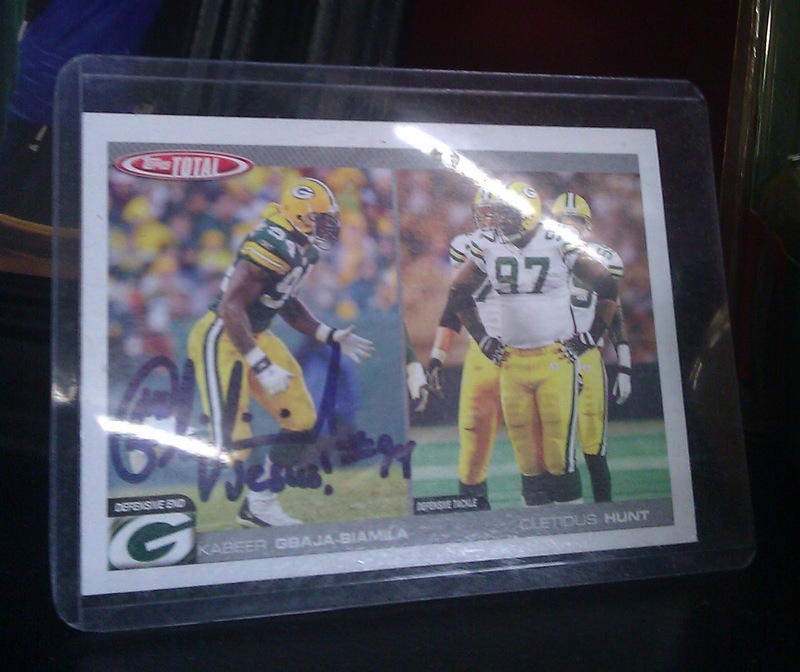 Up in the middle of the top shelf an autographed card of the Packers all-time sack leader, Kabeer Gbaja-Biamila. 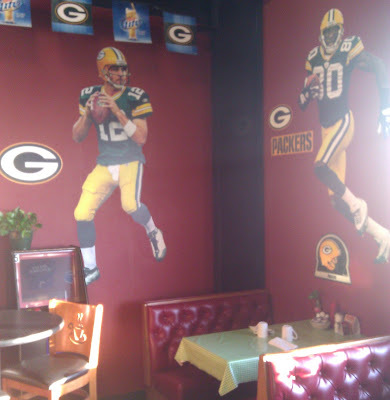 I might just have to track one down for my own collection. 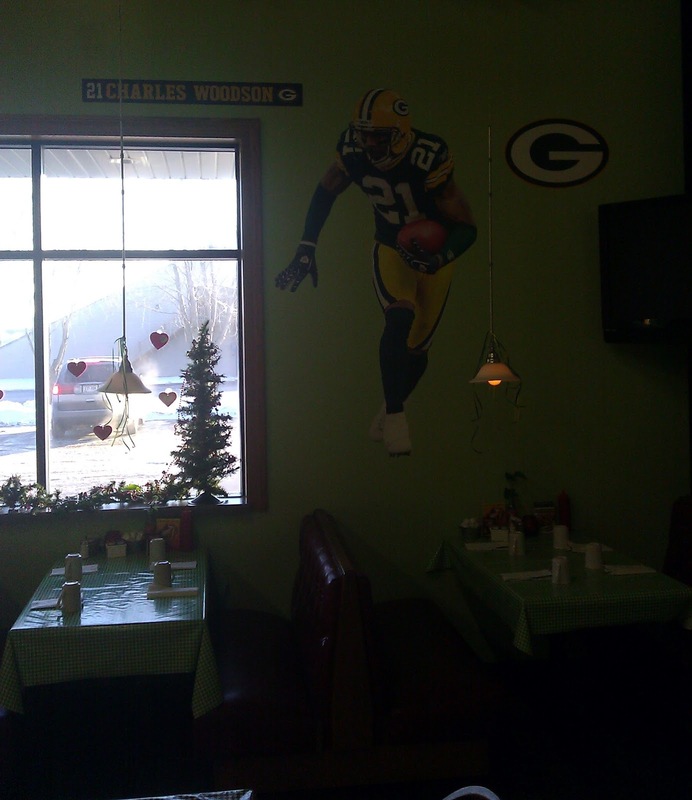 It seems like just about each little town in Wisconsin has one of these Packer shrines be it a small restaurant or a local bar. I've seen places like this before... The G was red and black though.